1.) How equipped are my girls for life once they are released into this crazy mixed up world we live in? 2.) How well I'm doing as a father? This past weekend I gained some ground in regards to getting answers to these questions. 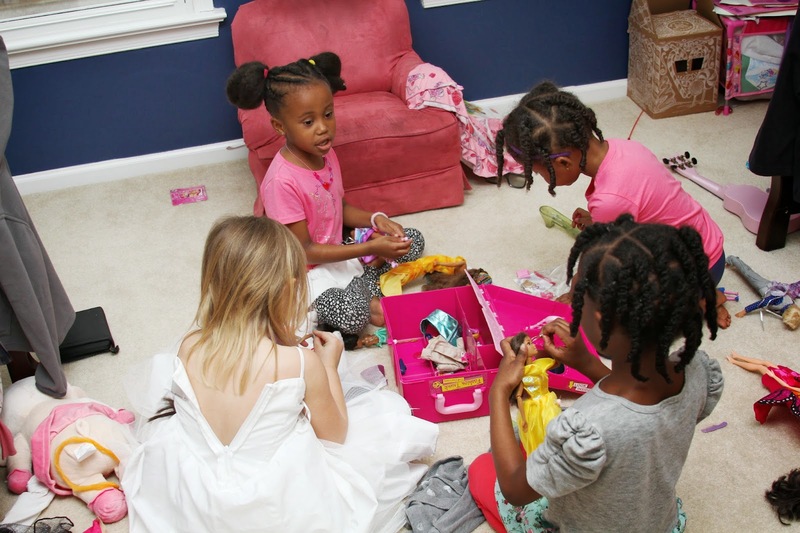 You see my wife and I hosted the first official slumber party for our girls and two of their friends. That's right, we were the royal servants to 4 excited and constantly squealing little girls who are collectively known as the BFF Club. 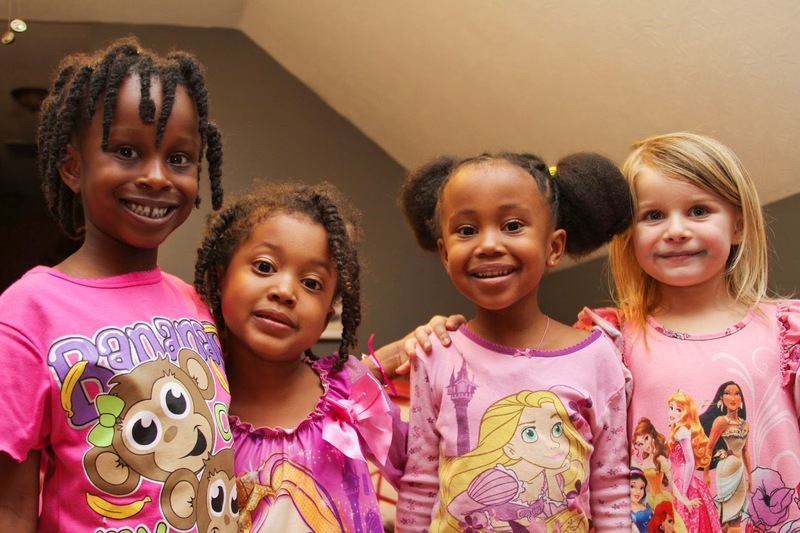 It was a fairly typical (I guess) sleepover, filled with popcorn, Barbies, cupcakes, nail painting, and a Frozen sing-a-long marathon. Meanwhile, I managed to sneak away for a couple of hours to grab some boneless wings and catch up on the Elite 8 action in the NCAA Tourney. My wife earned her Sleepover Leader badge since she took the lead with the girls. Yes, I will admit that I surrendered the Mancave to them... but for only one night. The next morning, I got up to help cook breakfast for the BFF Club. They were too excited to even eat their pancake breakfast. There were only a few hours left before it was time for them to leave, but there was still so much more fun to be had. Soon, they scurried off to put on their pretend makeup, play dress up, and squeal. Did I say squeal already? Looking back, I don't remember one time that either of our daughters came crying to us for problem-solving. As parents, my wife and I have worked hard to teach our kids to begin making decisions on their own. This doesn't mean we're abdicating our roles as parents, but we are fully aware of the amount of intellect that they carry even at their young ages. It was clear in their interactions with their BFF's that our little princesses are ready to at least begin navigating this life socially. In one night I was able to see healthy conflict resolution, compassion, and fair treatment as my girls interacted with their buddies. The best part of this all was that they displayed these traits without once, asking my wife or myself to help them figure out what to do. They inherently knew how to handle every situation that they were faced with. On that note, I'm left to believe that I'm doing a pretty good job of being a daddy. The girls will be fine. Maybe I just need to...ahem...Let it Go...Let it Go!! !